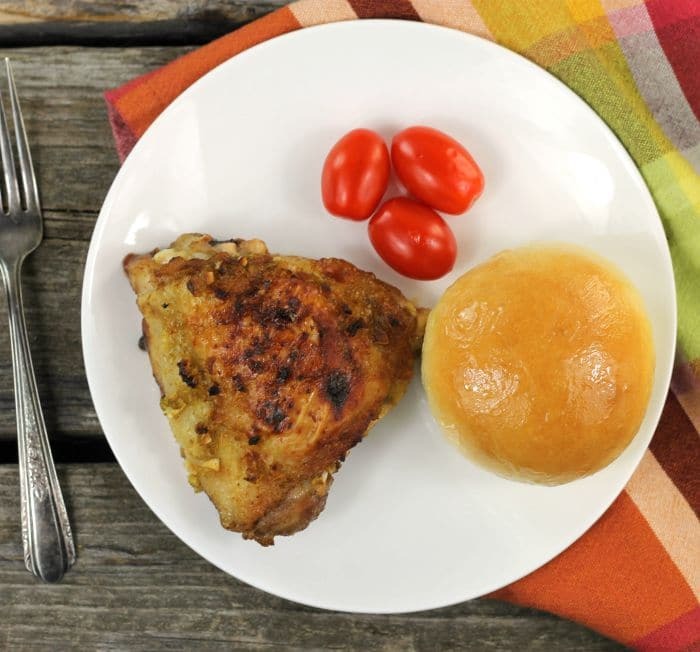 Honey Lime Garlic Chicken, this chicken is browned on both sides in a cast iron skillet before popping it in the oven and baking until it is tender and juicy. Honey lime garlic chicken is a one skillet deal made with chicken thighs that have been rubbed with seasoning then topped with honey, lime zest, lime juice and garlic before it is baked in the oven. I have been using my cast iron skillet for a variety of things of late. You will notice several posts on my blog where the food is prepared in my cast iron skillet. You will see anything from desserts to bread to pasta dishes and so on. 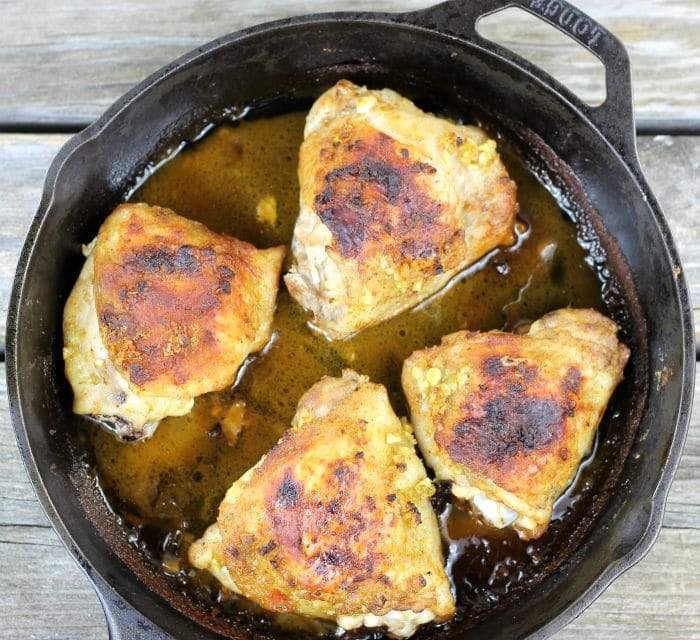 For chicken, I love to start cooking on the stove and then transferring the skillet to the oven. This way you can brown the meat quickly keeping the juices in and then finishing in the oven for a tender juicy chicken. This recipe is no exception. The chicken comes out tender and juicy, just the way it should. You start with combining cumin, paprika, onion powder, garlic powder, salt, and pepper. Once it is combined rub the seasoning over the chicken. Heat the oil in the skillet and add the chicken skin side down. Brown the chicken for 3 to 4 minutes and turn over, continue to cook for an additional 3 to 4 minutes. While the chicken is browning in the skillet mix up the honey, lime and garlic mixture. Spoon the sauce over the chicken and place it in a preheated oven and bake at 400 degrees for 30 to 35 minutes. Let rest for a few minutes and serve. 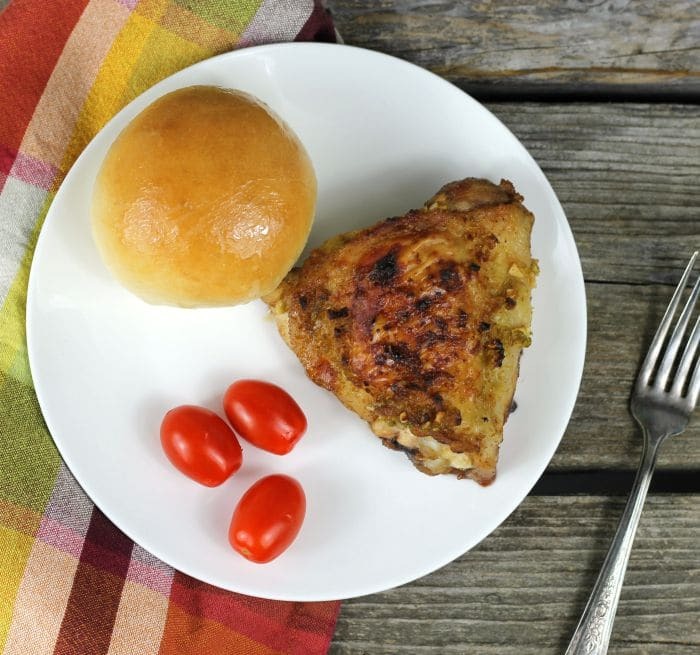 Honey Lime Garlic Chicken, this chicken is browned on both sides using the cast iron skillet before popping it in the oven and baking until it is tender and juicy. Combine the cumin, paprika, chili powder, onion powder, garlic powder, salt, and pepper. Once it is combined rub over both sides of the chicken. Het the olive oil in a cast iron skillet. Once the oil is heated place the chicken skin side down and fry for 3 to 4 minutes or until the chicken is browned. Turn the chicken over and fry for another 3 to 4 minutes. While the chicken is frying mince the garlic, zest and remove the juice from the lime. Mix the minced garlic, zest, juice, and the honey. Once the chicken is browned on both sides and the skin side is facing up spoon the honey mixture over the top of the chicken thighs. Place the chicken in the oven and bake for 30 to 35 minutes or until the meat is no longer pink. Let rest for a few minutes before serving. 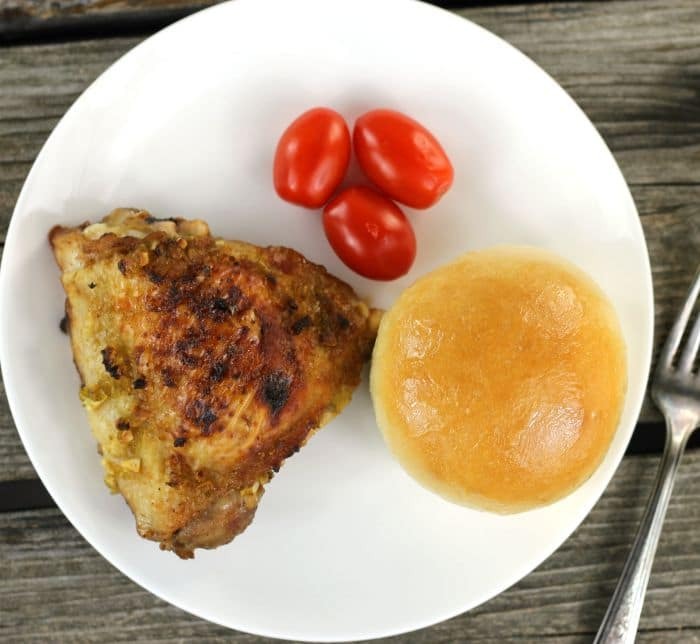 A great combo of flavours, Dawn, and the chicken looks so nicely golden and succulent! Oh, this looks terrific! And such a neat combo of flavors — lime and garlic are wonderful playmates. Good stuff — thanks. This chicken sounds like it’s got great flavor, Dawn! I love using citrus with grilled/cast iron foods, and I can see how the touch of honey here would be quite tasty. In fact, I kinda want to try this idea out on the grill now!